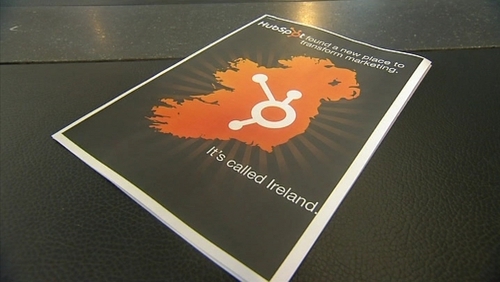 Two US companies have said they hope to create around 300 jobs in Dublin and Cork. Software security company FireEye is to establish its new technical support centre in Cork with the creation of 150 jobs. Recruitment is expected to begin immediately. FireEye provides software protection against web and email next-generation security threats. Elsewhere, marketing software company Hub Spot has announced the creation of around 150 jobs in Dublin. The firm is expected to create jobs in sales, support, marketing, engineering and development roles. Currently Hub Spot employs 22 staff in Dublin. Announcing the FireEye jobs, Minister for Jobs, Enterprise and Innovation Richard Bruton said that the move is a great boost for the city and a further indication of what is possible in this sector for Ireland. ''Putting FireEye's EMEA technical support centre in Ireland was an obvious choice due to the country's successful track record in technology, an existing cluster of high-tech companies, and the availability of competent, multilingual talent,'' commented Tony Kolish, senior vice president of customer support at FireEye.